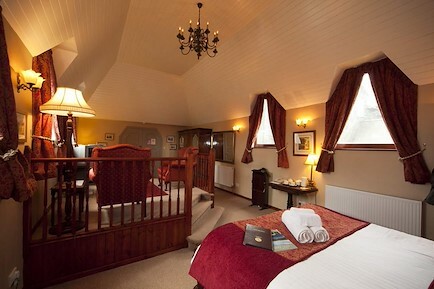 We are a small friendly bed & breakfast with 4 well appointed rooms. We pride ourselves on our warm friendly atmosphere, excellent hospitality and attention to detail. Littlefield is conveniently located for the town centre, lake, theatre and many lovely walks. Whilst only a short distance from all Keswick's attractions we are close enough to be convenient and far enough away so you can enjoy a relaxing nights sleep. All our rooms are en-suite. Two rooms are Standard rooms and two are Superior. One Superior room (Grasmere) can be either a twin room or Super King size bed, the other (Derwentwater) has a Kingsize bed and bath / shower. Both Superior rooms are larger than Standard rooms and have DVD players. All rooms have recently been refurbished, with modern bright decor to make your stay even more comfortable. There is room at the rear of the property for two well parked cars. Dogs are welcome in the two second floor rooms by prior arrangement. A full English breakfast is provided using locally sourced produce. Along with this we provide fair trade tea and coffee with a selection of cereals, youghurts, fruit juice, and toast. Early breakfasts and packed lunches are available on request. We provide discounted tickets (£1 per person) for the Keswick Launch company. As a member of the ambassador scheme we can obtain a £3 discount on each ticket for performances at the Theatre by the Lake. As a keen walker your host is happy to provide guidance on suitable walks. There are many maps and guidebooks available to borrow. Your enquiry will be sent directly to Littlefield. Please fill in as much detail as you can.